Our backup systems are available to organizations of any size, offering the benefits of similar systems to those utilized by Fortune 500 companies. Our backup solutions are simple enough for any IT business owner to use and offer reliable services such as offsite backup, data security, and on-demand data recovery. SiSCOTEK takes your privacy very seriously, and ensures that only you can access your files. 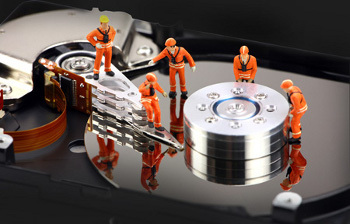 In addition to our backup and recovery services, data security for our customers is a top priority at SiSCOTEK. Using 256-bit AES security, your data is encrypted before it leaves the computer. SiSCOTEK’s experienced employees are dedicated to ensuring that each of our customers receives a successful online backup of their personal or professional data. All of your valuable data is stored on state-of-the-art file servers located in data centers in two facilities separated by thousands of miles.